The Mopify website located at www.mopify.com, as it may be updated, relocated, or otherwise modified from time to time, including any and all information, text, images, and other materials and content appearing on or incorporated into that website (the "Site") is operated by Mopify Inc. Thank you for visiting the Site or otherwise accessing any of our other web sites, networks, embeddable widgets, downloadable software, mobile applications including tablet computer applications (each an "App"), features, messages such as emails that we may send you, and services, whether on-line or off-line, owned or operated by us (altogether the "Service"). User-Provided Information: When you sign up or register to use the Service, we may ask you to provide certain information, such as your first name, last name, mobile telephone number, and email address, which may be considered "personally identifiable information" (that is, information that would allow us to directly identify you, like your name and e-mail address). You may also provide personally identifiable information to us such as your mailing address, phone number, and other information when you send us an email, when you update the information you've previously provided to us, when you submit a Job, or at other times when accessing the Service. Location Information: In addition to "Automatically Collected" Information, we may request that your device provide us your location information, including GPS and other location data made available by your device. Depending on the configuration of your device, you may be able to request that this information is not sent to us while continuing to use the Service. Even where you disable our access to your location information, we may still be able to approximate your location based on your IP address, or you may provide us other information connected to your location, such as your mailing address, either directly or through an Integrated Service. Third-Party Login Functionality: You may be given the option to access or register for the Service through the use of your user name and passwords for other services (each an "Integrated Service"), such as through the use of your Facebook credentials through Facebook Connect. If you connect your account with Facebook, you understand and authorize us to access and store the credentials you provide, a unique identifying number or string of characters associated with you, your name, email address(es), date of birth, gender, current city, address information, profile picture URL, and other information associated with your Facebook account that you permit Facebook to make available to us. If you choose to connect using an Integrated Service other than Facebook, you authorize us to access and store accessible information from such Integrated Service. We suggest that you review your Facebook or other Integrated Service privacy settings to understand and change the information available to us through Facebook Connect or such other Integrated Services. "Automatically Collected" Information: When you use the Service we may automatically record certain information about or related to your use of the Service that is made available through your computer such as your IP address, information about your hardware and software, links, images, or other materials you click, information that may enable us to approximate your location, web pages or sites that you visited just before or just after the Service, the pages you view on the Service, the searches you run on the Service, the dates and times you access the Service, and other information about how you use the Service. This information is collected through the use of different types of technologies, such as standard log files, cookies, and web beacons (sometimes called "clear GIFs"). "Cookies" Information: One form of "automatically collected" information we may record is information stored by "cookies" small text files containing a string of alphanumeric characters. When you access the Service, we may send one or more cookies to your computer. By sending you cookies with values that are unique, we may be able to uniquely identify your web browser or device when you access the Service. We may use both "session" and "persistent" cookies to collect, store, and sometimes track various types of information. A session cookie is one that is intended to disappear after you close your browser. A persistent cookie remains after you close your browser (and may be used by your browser to identify itself when you later return to the Service). Persistent cookies generally can be removed. You can review the "Help" file for your computer or web browser to learn the proper way to modify your cookie settings. Web Beacons: Web beacons, which are sometimes referred to as "clear gifs," are a fancy way of referring to web links that your browser, device, or email program requests when loading a web page, html email, or similar web-connected content. When this request is made, the entity which controls the requested link (which would be the Company for links back to the Service) can determine if you opened an email containing a web beacon or otherwise viewed particular content. You can opt-out of receiving certain communications, but we reserve the right to continue to send you certain communications relating to the Service, such as updates from your Cleaner and administrative messages, without offering you the opportunity to opt out of receiving them. We may provide your information, including your Job request description, name, location, and other contact information to Cleaners in connection with Jobs requested through the Service. We may provide your information to third parties for their use in helping us perform our internal business functions. These are things like performing maintenance, security, data analysis, email transmissions, or data hosting on our behalf. We require these third parties to maintain your information consistent with their legal obligations. We may provide your information to third parties that help us better understand how you and other users use our Service. For example, we may use a service called Google Analytics by permitting Google to use technologies such as web beacons and cookies to collect certain non-personally identifiable information that helps us understand your usage of our Service. We may disclose your information if required to do so by law or in the good faith belief that disclosure is necessary to: (1) satisfy legal obligations or comply with legal process (such as a subpoena) served on the Company; (2) protect the Company and others from fraudulent, abusive, predatory, or unlawful uses or activity; (3) investigate and defend the Company against any legal claims or threats; (4) protect and defend the rights or property of the Company; (5) take action relating to user complaints, or (6) act in urgent circumstances to protect (a) the personal safety of users of the Company, (b) the Service, (c) or the public. We may disclose and otherwise transfer your information to an acquirer, or to a successor or assignee, as part of any merger, acquisition, debt financing, sale of all or a portion of our assets, or similar transaction, as well as in the event of an insolvency, bankruptcy, or receivership, in which your information is transferred to one or more third parties as one of our business assets. We may disclose aggregated or other types of non-personally identifiable information, including "automatically collected" and "cookies" information that are non-personally identifiable, to third parties in order to improve our service. For example, we may disclose non-personally identifiable information to interested third parties to assist them in understanding the usage, viewing, and demographic patterns for certain programs, content, services, advertisements, promotions, or functionality on the Service, including information related to the types of Jobs our users request, response times of Cleaners, and other information related to Jobs. You may also decline to share certain information with the Company, in which case the Company may not be able to provide to you some of the features and functionality found on the Service. If the Company offers a public profile feature, we will provide features enabling you to update, correct, or delete some of your profile information and preferences. Please note that while your changes are reflected promptly in active user databases, we may retain all information you submit for a variety of purposes, including backups and archiving, prevention of fraud and abuse, and analytics. You may also modify the cookie and location sharing settings on your device or in your web browser to limit the information you share. You may correct, amend, or delete your personally identifiable information by editing your profile (if we offer public profile functionality) through the Service or otherwise by emailing us at support@mopify.com. We have implemented physical, technical, and managerial safeguards in an effort to protect your information from unauthorized access, disclosure, alteration, and destruction. Despite our efforts, however, we cannot and do not guarantee the security of the information we collect from you or that such information will not be accessed, disclosed, altered, or destroyed by breach or other failure of any of our physical, technical, or managerial safeguards. Please keep this in mind before providing us with information or using our Service in a manner which you may wish to keep private. The Company does not knowingly collect or retain personally identifiable information about persons under 13 years of age. If the Company learns that personally identifiable information of persons under the age of 13 years has been collected on the Service without verifiable parental consent, then the Company will take the appropriate steps to delete this information. If you are a parent or guardian and discover that your child under the age of 13 has obtained a Service account, then you may alert the Company at support@mopify.com and request that the Company delete that child's personally identifiable information from our systems. 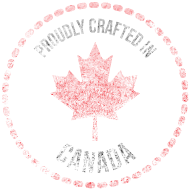 We utilize servers and data centers located in Canada. If you choose to use the Service from outside Canada, then you should know that you are transferring your information (including personally identifiable information) outside of your region and into Canada for storage and processing. By providing your information to us through your use of the Service, you agree to that transfer, storage, and processing in Canada. Also, we may transfer your data from Canada to other countries or regions in connection with storage and processing of data, fulfilling your requests, and operating the Service. You should know that each region can have its own privacy and data-security laws, some of which may be less stringent as compared to those of your own region.